An outline of winemaking from grapes! White and red wine making will pretty much be the same procedures with some definitive differences. As you will see from the steps below, red wines will need pulp fermentation for color extraction, whereas white wines will not need this. 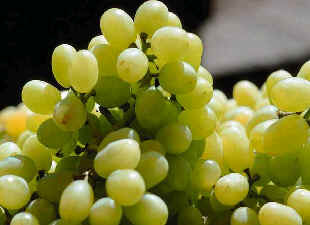 It is however worth noting that some vintners do leave the skins in contact with the juice for up to 48 hours prior to starting fermentation on some white wines. Grapes are harvested and handled carefully, keep in clean containers. Crush the grapes, breaking open the skins. Test the juice for sugar and acid content. Adjust if needed. Add yeast starter to the must. Do not top up container, you must leave room for foaming. Transfer must to secondary container, top up and seal with an airlock. For red wine, press the skins now, and combine juice with original must. Rack wine into clean container, top up and seal with airlock. Bottling can be done now if desired, or wait an additional few months.